If your roof is leaking or needs repairs, every second counts. Give us a call today at 970-372-6161 for a free, custom quote! Having repairs done to your roof can seem like a much larger and more costly job that it really is. Your roof has a tendency for the dramatic, and small issues in reality can look like large ones on the surface. Fort Collins Roofing Service are seasoned professionals with many years experience in repairing roofs just like yours. And no matter the extent of the damage, or the material used, you can be sure that we will give the best possible repair to your Fort Collins, Loveland, Windsor, Wellington, Timnath, Laporte or Masonville roof. The majority of leaks and cracks in your roofing or flashing are generally attributed to poor maintenance, or improper installation. Especially when buying a new home, an issue such as this can be overlooked when the weather is good. Then one big storm later, and you have a new shower in your attic. Fort Collins Roofing Service is experienced in hunting down small damages like this and ensure they're either properly sealed, or the installation to that area is redone, giving you a dry and functioning roof. Dealing with any form of weather damage can be a helpless situation as you have no real control over the circumstances in which they happen. 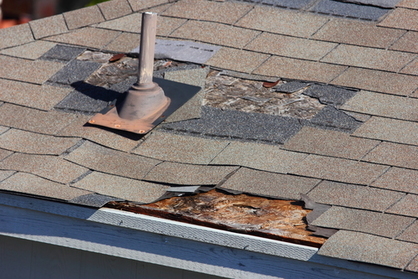 And depending on the severity of the weather and the material of your roof, this damage can range from minor to major with all sorts of variables in between. Fort Collins Roofing Service are highly experienced when it comes to assisting our customers with weather related damages, and will see to it that your roof will once again be good as new in a timely manner. For full information please see our Hail & Storm Damage Repair page. For any leaking or cracking associated with roofing additions, such as skylights, solar panels, or ventilation systems, the problem is generally associated with the installation. Our roofing service will go over and inspect every part of the installation to locate the source of the issue and see to its repair. This will include giving you a flush and proper seal, to drive away any issues that have been caused. Whether a reinstallation or a simple patching will do the trick, our roofing service has the experience and the means to have your roof installation working good as new, without affecting your roof. 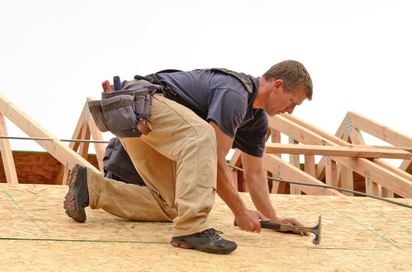 For any issues under the roof itself, such as bending or bowing in your roof, Fort Collins Roofing Service has the tools and experience to deal with the issue on your behalf. With the skills and know how to get to the root of the issue, we will have your roof back to laser level straightness in a timely manner. Don't fret over thinking the issue is bigger than it is, typically it can be dealt with in as simple a manner as reinforcing the joist or support beams, and once again, your roof is as good as new. If you think your roof needs repair or replacement, contact us today! Just fill out the form on the right or speak to a real, live human being by calling us today!